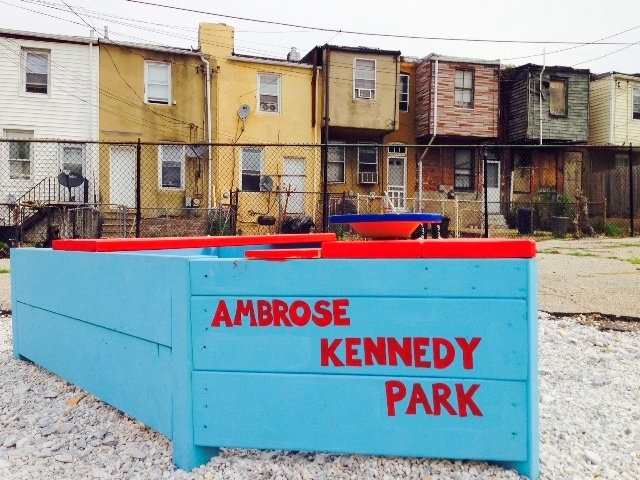 BUILD asks: Why won’t the city take care of Ambrose Kennedy Park? Above: Volunteers who worked to rescue Ambrose Kennedy: (seated) Keith Hammond and Evon Jackson, (standing) Jesse McGhee, Esther Scott, Kemmitt Scott and Dave Landymore. How long does it take to get a park maintenance schedule from Baltimore’s Department of Recreation and Parks? If you are Terrell Williams, an organizer with Baltimoreans United in Leadership Development (BUILD), and the park is Ambrose Kennedy in east Baltimore, apparently, the answer is one year and counting. 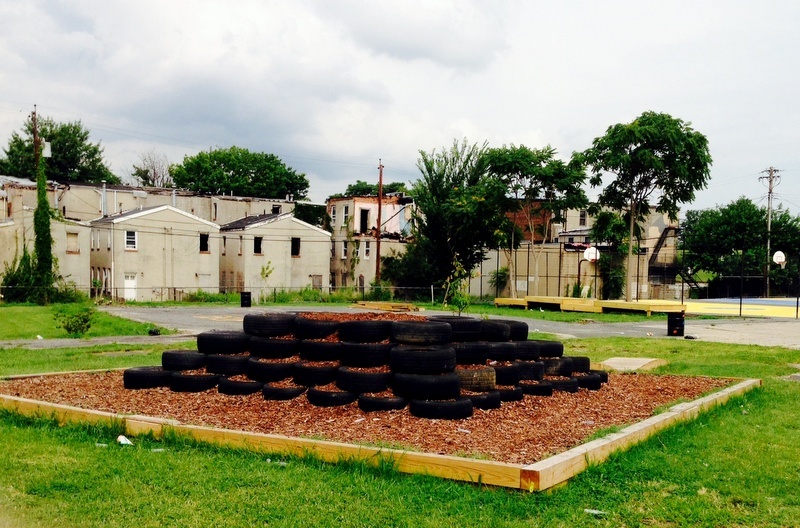 Asking for a schedule for city work at the 1.73-acre park at Eager St. and Harford Ave. in Johnston Square – and getting no answer – is just one of many problems BUILD says they’ve been having with Rec and Parks over their care of the long-neglected park. 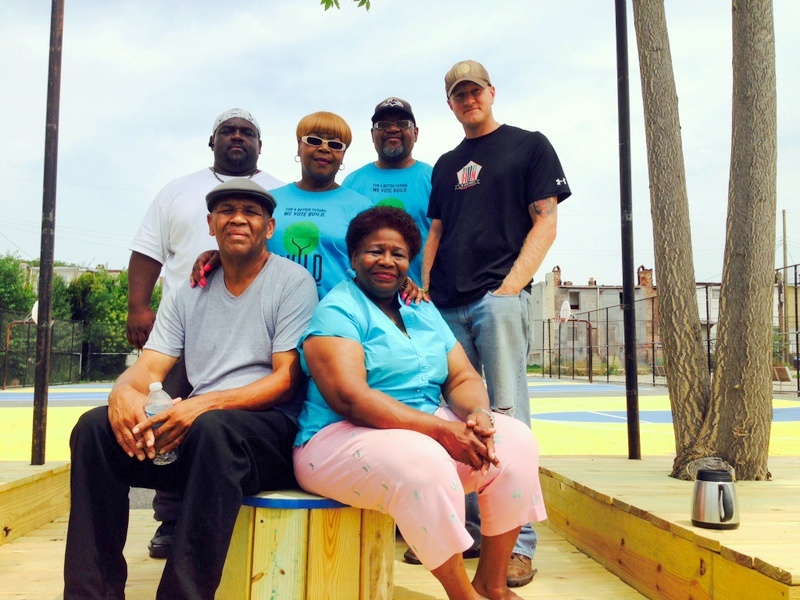 Williams, and Keith Hammond of Re-Build Johnston Square, a neighborhood association, say they have never seen the agency cut the park’s grass, and that their organizations and the 6th Branch (a veterans’ community service group) have done that, and almost all other maintenance at Ambrose Kennedy– except for the pool– for at least the last year. “The grass was two feet high when we started taking care of it,” Williams said, describing the park’s transformation over the last year-and-a-half:. Indeed, Re-Build Johnston Square has adopted the lots on both sides of the park, and with multiple community partners, volunteers, and BUILD, repainted the basketball courts, painted a mural on the pool wall, cut down dead trees, and removed old fencing, just to name a few projects. The groups see fixing up Ambrose Kennedy as a way of improving quality of life in Johnston Square, a poor community not far from Green Mount Cemetery that has seen more than its share of drugs and violence. 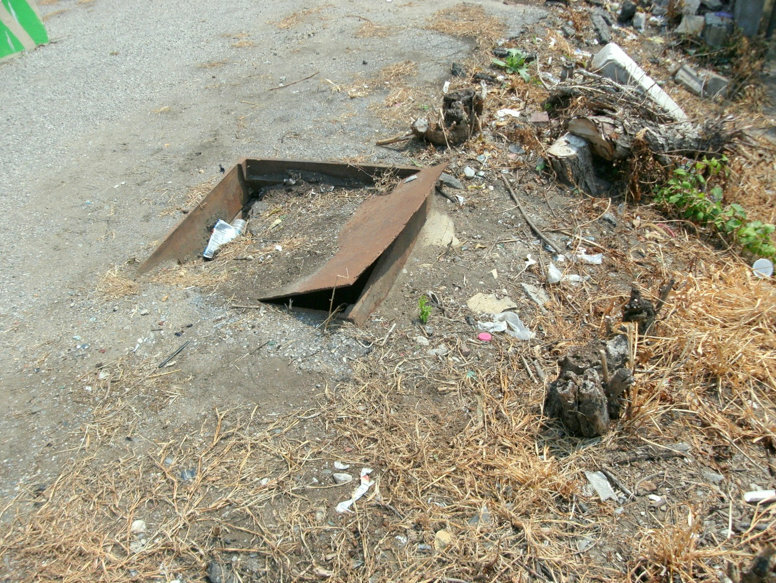 City officials deny any foot-dragging and say the groups just need to be more patient. 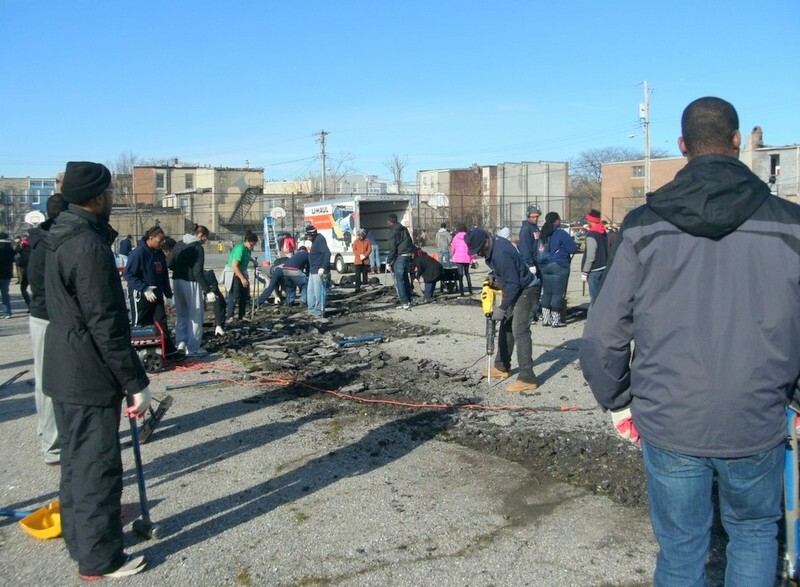 “The agency is committed to working with the community to help resolve any issues,” said Gwendolyn Chambers, a spokeswoman for Recreation and Parks . But Williams maintains that, while residents and their supporters have rolled up their sleeves and gone to work, Rec and Parks has done almost nothing. 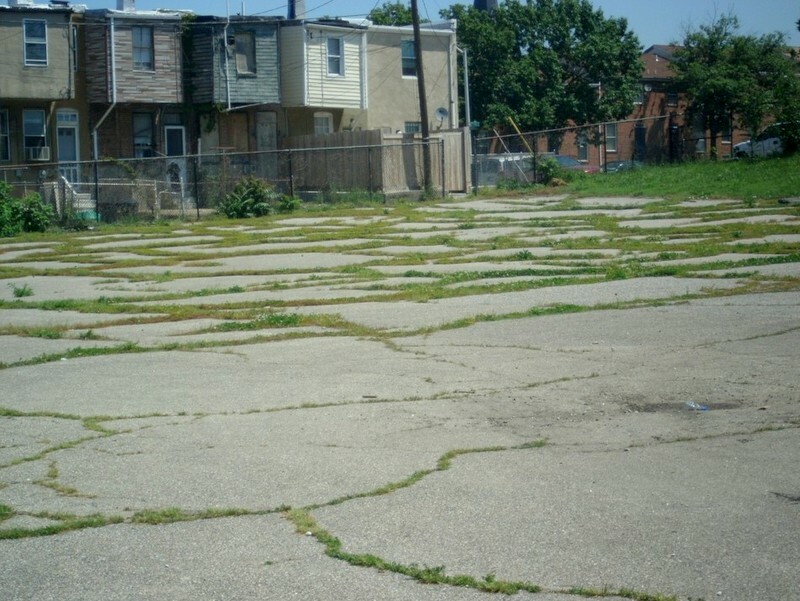 The neglect is puzzling in light of Baltimore’s massive investment in the Johnston Square community, some $30 million for housing rehabilitation spent or planned – much of it federal stimulus money. David Landymore, executive director of the 6th Branch, which has been involved in the park project for about a year, said he has no idea why Ambrose Kennedy has been ignored. “I’d prefer to think that this is about [Rec & Parks’s] limited resources and passive neglect, and not an active decision to neglect the park. I hope not,” he said. Williams has a different take. What could explain the recent problems Williams says he has had with getting city assistance at Ambrose Kennedy? In April, BUILD clashed very publicly with Mayor Stephanie Rawlings-Blake over a jobs program, excoriating her for failing to commit city funds, vowing in a fiery church meeting with television cameras rolling to “disrupt and annoy” her. Chambers said her department does not have any problems working with BUILD. 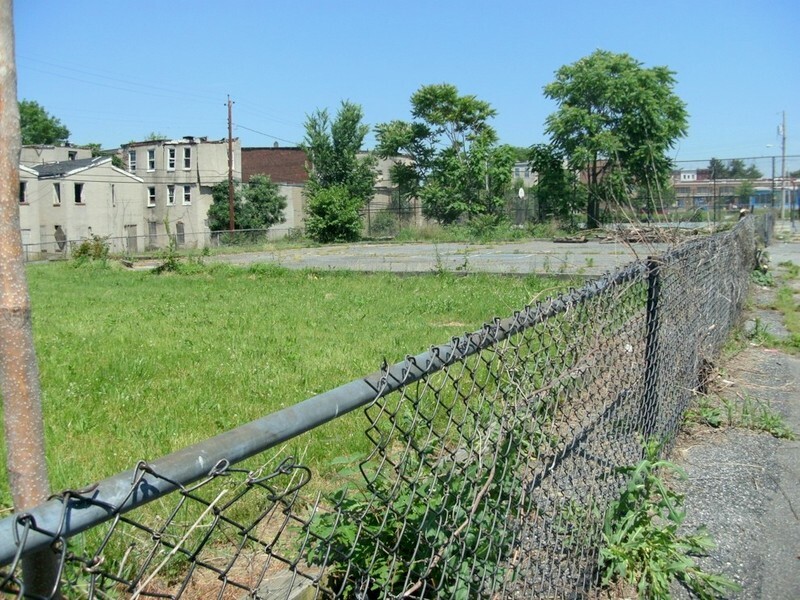 Williams noted that Re-Build Johnston Square has had good relations with another city department, Baltimore Housing, which is in charge of the program through which they have adopted the vacant lots flanking the park. 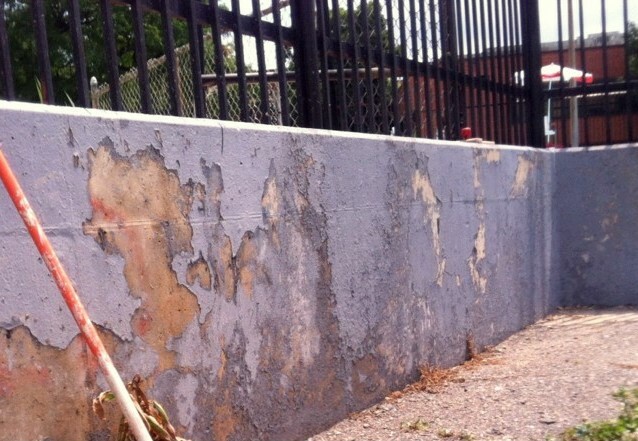 One example of Rec and Parks’ lack of interest in Ambrose Kennedy, Williams said, is their denial of the groups’ request to repaint its basketball courts. 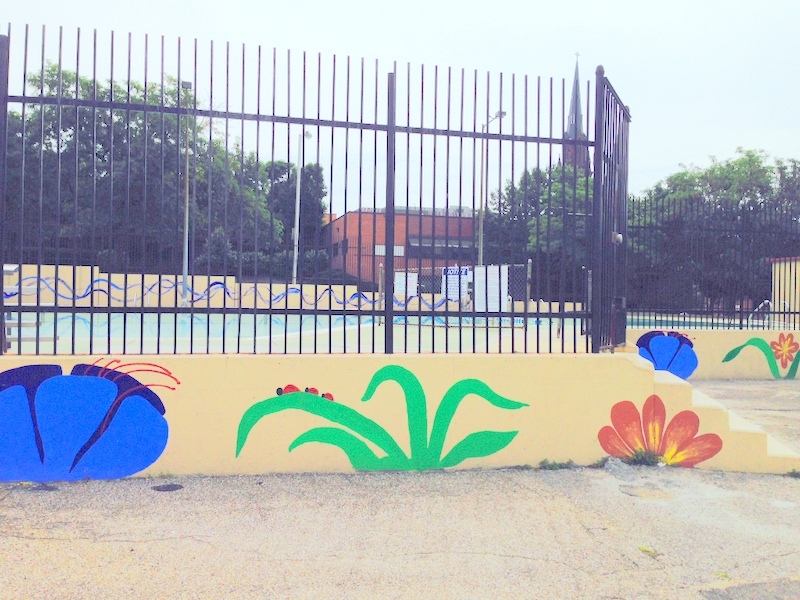 Rebuffed, BUILD and volunteers from the DC1 Painters Union went ahead and did it themselves, transforming the space from asphalt gray to bright azure and yellow. Williams said BUILD met with Rec and Parks regarding Ambrose Kennedy twice in 2013. They had been trying to get a meeting with the agency for months this year and only had success when City Councilman Carl Stokes intervened. That meeting, held on June 4 at Ambrose Kennedy’s basketball courts with Tracey E. Estep, chief of recreation center operations, ended poorly, said Stokes. “Frankly, there is quite a bit of tension with the group and the new Rec and Parks administration,” Stokes said. Landymore, who attended the meeting along with Hammond and several volunteers, said it was unproductive and that Estep was defensive. “We just told them to do their jobs,” Keith Hammond said. After the meeting, Re-Build Johnston Square (at the agency’s request) sent Estep a proposal outlining what they believe are the park’s immediate and long-term needs. Lighting at the entrances and basketball court; a maintenance schedule; the removal of tree stumps; and stationary benches and stationary trashcans, were among their eight priority requests. So was getting a water source to support the planting of trees, which Williams says a nonprofit will provide—once Ambrose Kennedy has a water supply. 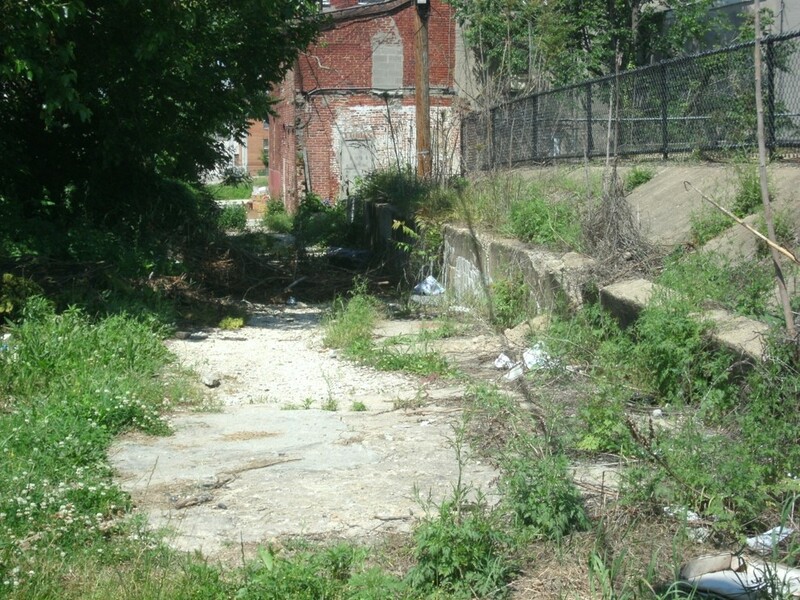 Stokes, who grew up in Latrobe Homes near the park, is familiar with Ambrose Kennedy and freely admits it has been neglected under multiple Rec and Parks administrations. Chambers told The Brew, during a discussion of the groups’ concerns, that Ambrose Kennedy is on the schedule for the vendor who cuts the grass. “The parks are initially on a fourteen-day cutting schedule, then on a ten-day cutting schedule,” she said. As for the lighting, she said the park is officially open only from dawn until dusk, and, while there are some lighted basketball courts in Baltimore city, there is no plan to light Ambrose Kennedy’s courts at this time. 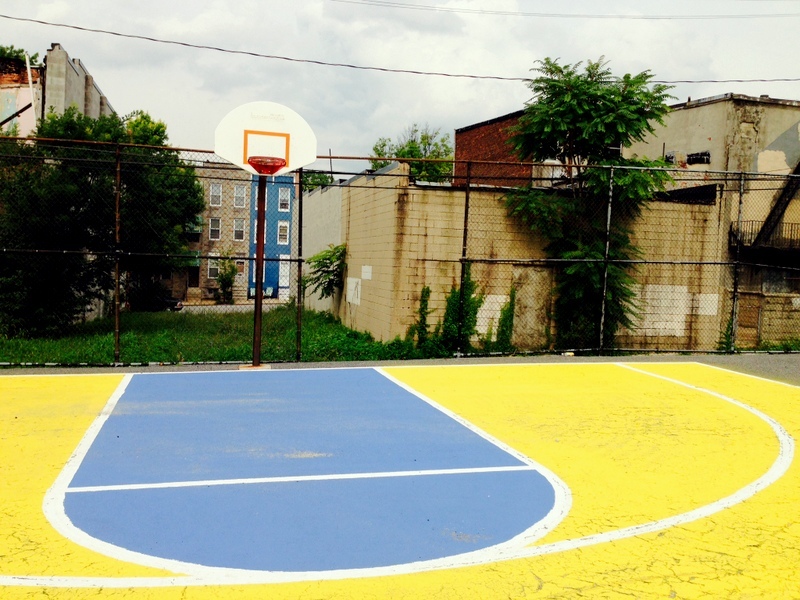 Regarding painting the basketball courts, Chambers disputes BUILD’s contention that their request to repaint the courts was denied. “The courts need to be repaired first. Typically, we evaluate. We don’t just flat-paint over it. Rec and Parks asked BUILD to be patient,” she said. Chambers said she had no idea when the courts might be repaired. 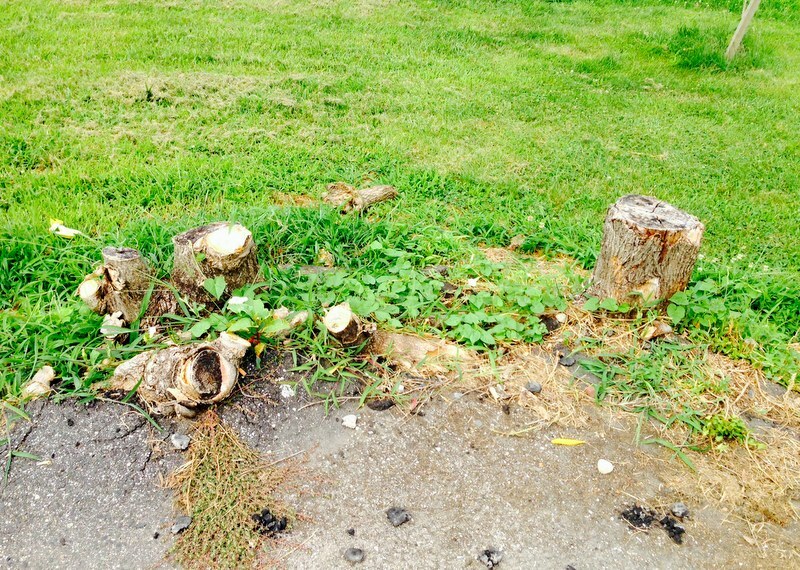 Nor did she know when the tree stumps, which were mentioned in Re-Build Johnston Square’s proposal, would be removed. Bad Meeting in the Rear-view Mirror? Williams said he was told by Stokes that Rec and Parks will be happy to meet with the community in the future — but just not with him. Chambers denies there is bad blood between Rec and Parks and Williams. Williams acknowledged that the agency did provide three new picnic benches to the pool area of the park a while ago–and much more recently delivered and installed serviceable stationary park benches. “They were used and dirty, but we cleaned and repainted them,” he said. In spite of the challenges, Williams says Ambrose Kennedy Park is getting used and making a comeback. “Loads of people are here, especially in the evening after work and school. That’s why lighting is so important,” he said. When The Brew visited Ambrose Kennedy on a recent Saturday, the pool looked fine, except that its portable toilet (the pool has no bathroom) was on its side. Williams said he and other volunteers righted it. Four days later, at 12:30 pm, the green port-a-potty was on its side again–just in time for 30 children from a nearby summer camp to arrive for a swim. 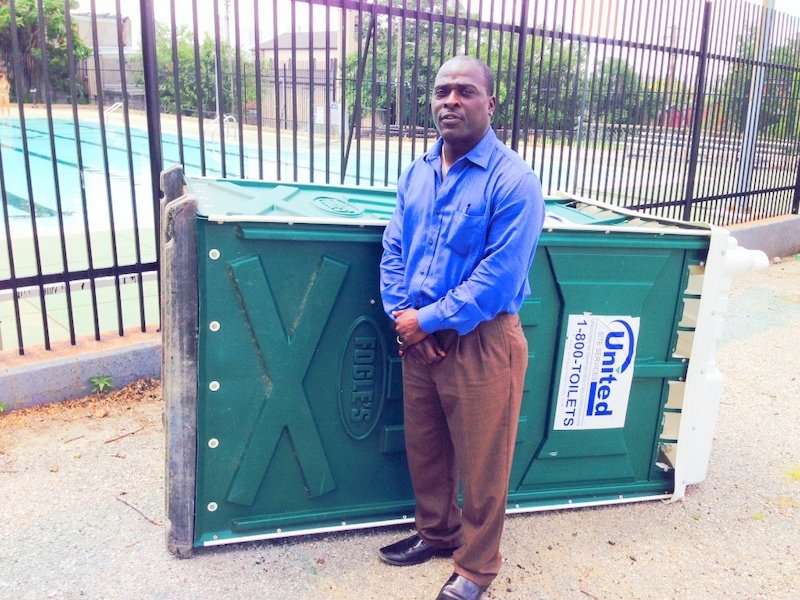 “That’s every day,” a pool staffer volunteered, regarding the tipped over toilet. “How are our future great swimmers?” he asked the children cheerfully. After the youngsters passed by, his mood changed dramatically. “If you must have a portable toilet with children here, the least you could do is to chain it down,” he said, pulling out his cell phone.